Lady Flower, how is it possible for the naked wind to clothe me with the sweetness from your timeless fragrance without you ever being in my midst? Every time you dispel your kisses to the heavens, I can feel them upon my face, as if I am welcome before the Throne of the Almighty Himself. Kindly include me in sanctifying the shrine of your dreams so I may learn and understand the true meaning of the word "holy". Permit me to have the honor, freedom and right to decorate your tresses with life's most prestigious flowers, for although my hands are empty, my humble heart is certain you can thrill me with songs of passion. My darling, we both know the naked wind is invisible and its magic can only be felt by loving, grateful hearts. Sadly, even though I might not see your smile in reality, I can still feel you entering my heart with the rhapsody of love…just like the naked wind. You are welcome and thank you also for allowing me to use your beautiful photo. I appreciate the visit and kind words my friend. I had to smile after your comment. I am sure I would have felt the same way (LOL). Thank you my dear friend for the lovely remarks on my humble work. Thank you for the visit and lovely words. They were much appreciated. Thank you for the encouragement and support. I am grateful my friend. I am truly humbled by those beautiful and powerful words of yours. Thank you also for the visit and encouragement my friend. i like the way you can paint pictures with your words. the idea of the naked wind having a scent is interesting to me. Thank you for the beautiful words. Yes, the beauty of the naked wind is for all of is to enjoy (smile). Thank you again my friend. Andy, this poem was beyond beautiful. Thank you so much for sharing it. Thank you for the visit and kind words. Please know they were much appreciated. Hope you will visit again soon. Lovely and sensual, as always! Very beautiful, Andy! Thank you sir for the kind words. I really do appreciate your thoughtfulness. Very nice to hear from you again. Thank you also for the lovely remarks. They are much appreciated my dear friend. Thank you for the visit and for liking the music. sad but sweet words. thanks for sharing. Yes, they are sad words that bears the longing for that special someone. Thank you for the visit my friend. Very interesting, the wind is able to leave the naked beauty like you do. Greetings. Thank you for the visit and kind words. They were much appreciated. Another swooningly beautiful poem from the Poet's Pen. Thank you Andy! RFW linky is up. Here's hoping our extra efforts have paid off. Thanks as always for your supports. You're a lovely man. Any compliment from you is like a jewel in my heart (smile). Thank you my friend for the encouragement and affection. Yes, hoping our efforts for RFW had paid off. Yes, I can feel the rhapsody. Lovely. Always a BIG thank you for all the encouragement my friend. I appreciate your heartfelt feedback on my humble thoughts (smile). You can always make me smile. I am always at the loss of words to appreciate your words...so, if I don't comment, just think I am spell bound! Even with the silence of words...your heart still speaks to mine (smile). You have become a great friend to me. Thank you again for all the support sweet Lady Flower. I'm trying to picture the naked wind. I sat on the deck the other day...the air was absolutely still. And then, suddenly, like a train passing, I could hear the wind approach, dance around in great swirling motions, and then depart. I suppose it was naked...I didn't seen anything...just heard and felt it. Anyway, I like your writing (but then you knew that)...it makes me think. Once again, you have me smiling. Your sense of humor is sooooooo beautiful. Thank you my friend for stopping by and for the support. This humble poet appreciates your sincere kindness. The title itself charms and the post does it more. Beautiful words Andy and that's a neat photograph. How kind you are. Thank you for the warm sentiments and the visit. Thank you as always for your kindness my friend. I do appreciate you my brother. Your words are poetic and beautiful. You have touched me with your kindness. Thank you so much. Yes, the wind is naked but beautiful (smile). Thank you my friend for the visit. Many thanks for the lovely words of beauty. I am grateful and humbled by them. Thank you so much for the visit and kind words. Beautiful words from you also my friend. Thank you for the encouragement and support. The words in this post just flow! With love, all things flow (smile). Thank you for the visit and smile. You are most kind to this humble poet. I am very thankful for your affection and support. 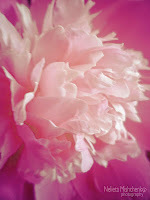 Beautiful poem to accompany such a pretty flower photo! Thank you for stopping by and whispering such sweet words. My heart is most grateful and yes, the flower is indeed very beautiful!! Andy your poetry is remarkable! I am always smilign when I leave here. Thank you. It is always a pleasure to hear from you my friend. I am so thankful for your support and kindness. Beautiful " the naked wind", such a beautiful line. Andy, you are amazing. You are amazing for being such a GREAT friend to this humble poet. I am grateful your affection and kindness my dear. Wow. This is beautiful. And I love the title. Andy! "The Naked Wind!" I can smell your aftershave on the naked wind, you word-lover, you!! I am laughing my head off!! You are so funny and beautiful!!!! Thank you my friend for your kindness and support. I can feel that breeze and it is captivating, well done! Thank you for the visit and lovely remarks. Please know I do appreciate them. Thank you so much for the visit and comment. Hope you will return again soon with the same smile. wow, wind is naked indeed. Glad you agreed that the wind is naked (smile). Thank you for the visit and smile. Hope you will return again soon. "The naked wind" Starting with a very beautiful impression and carried that throughtout the lines... Beautifully written.. Thank you for the visit and encouraging words. My heart is humbled and most grateful. Thank you so much. I love your word crafting here Andy. When I go outside next I shall close my eyes and hope to feel something other than oppressive monsoon weather! Another nifty and beautiful post, Andy. Your writing is always a gift. Thank you for those lovely words my friend. I also love your sense of humor. I appreciate the support and encouragement. Thank you so much. The touching beauty of your words is just irresistible... Great work! How kind and sweet you are!! Thank you for those beautiful words. I am truly humbled by them. Thank you for the visit and kind words. They are much appreciated.